In different ways, Nexus 7 tablet is a winner. 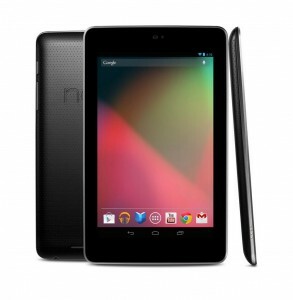 It includes the latest Android 4.1 Jelly Bean and it is the first tablet to have that. It is full of fun and it is very fast. When you compare it with other tablets more than $300 they all go behind. You can not only browse the web without any difficulty, but you can also play different games easily and the size is compact. For a $200 worth gadget, the feel is strong and sleek. There are so many cheap priced tablets to ignore the beauty of Nexus 7. The hardware part of Nexus is constructed by Asus, so there is no surprise when I say it is solid. The front part is covered with Gorilla Glass and the back part is covered with a formatted rubber, which has a slight grip. The entire tablet weighs 12oz and the size is 7.8×4.7×0.4 inches. One can easily carry it in one hand for long time without any problem. The tablet features IPS LCD 7 inch screen that supports a resolution of 1280×800. The resolution is better than the Kindle Fire, there is also a huge bezel surrounding the screen that gives you a place to place your thumbs without hiding any part of the screen. You can carry it outdoors, though it absorbs more than reflecting. It is not wise of expect it to work like AMOLED screens that are included in higher end tablets. You can see more absorptive AMOLED glass in The Galaxy Tab that costs $700 and Toshiba Elite that costs $500. The actual beauty of Nexus 7 is there in its CPU. It works on Nvidia Tegra 3. When it comes to games, you will find majority of games without any difficulty. The games of Tegra Zone are fabulous, specifically when you compare it with the offers of Kindle Fire.